We design, build and install modular 'tube and joint’ solutions for a range of business scenarios. ON THIS SITE - find out about custom solution design, facilitation of lean process improvement, installation, component supply and Hoshin events. Worldwide logistical support is provided by branches in 18 countries. Try our online solution configurator at GRAPHIT.com. Customise modular solutions from a range of templates and get an Instant Quote. BUY ONLINE coming soon. Our customers include market leaders in many sectors including aerospace, appliances, automotive, consumer products, heavy truck and electronics. Key US Clients include Chrysler, GE, Cummins, Faurecia, Ford, Honeywell, Oshkosh, Stryker and Whirlpool. Benefits of our expert-designed solutions include optimization of space, reduced waste, improved ergonomics, and better protection of valuable parts. We are an industry leader in solutions for 5S, Six Sigma, and visual management. We specialize in the rapid implementation of Kaizen continuous process improvement, and can provide as much strategic, tactical and logistical support as you require for your Lean initiatives. Our systems allow the build of almost any structure. 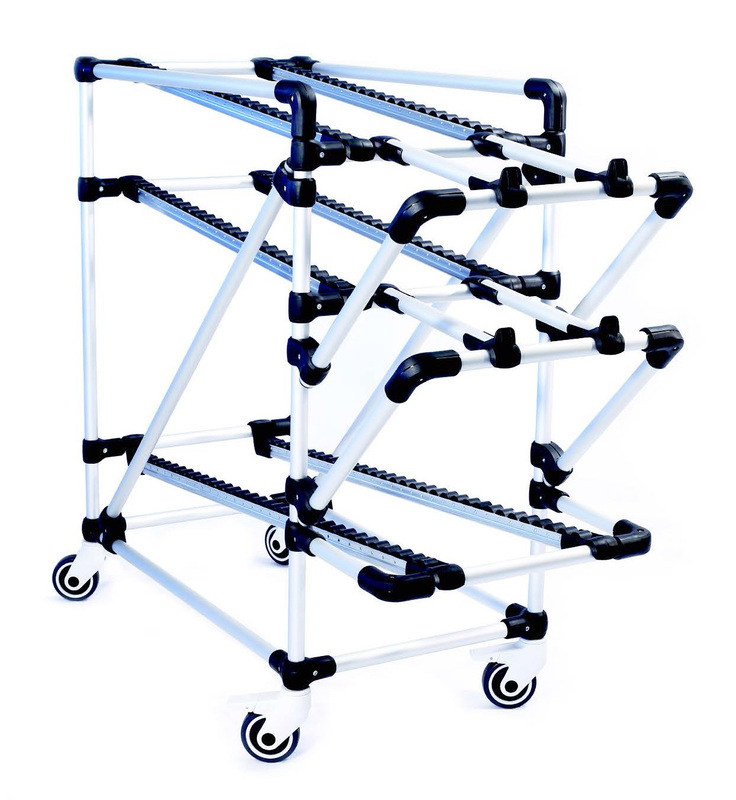 Traditional material handling applications for manufacturing environments include flow racks, workstations, and carts. Other applications range from sorting frames in distribution centers, to custom workstations for product assembly, to drink stations at global sporting events. We design and manufacture modular components including the revolutionary Graphit composite system and the classic LeanTek steel tube and joint system. All systems are industrial-strength, easy to adjust and configure, and completely reusable. A range of related products and accessories allows us to provide our customers complete solutions, installed and integrated into their workplace.